Mini-Ring at the Kingston Maurward Open Day on Sunday 24th June. 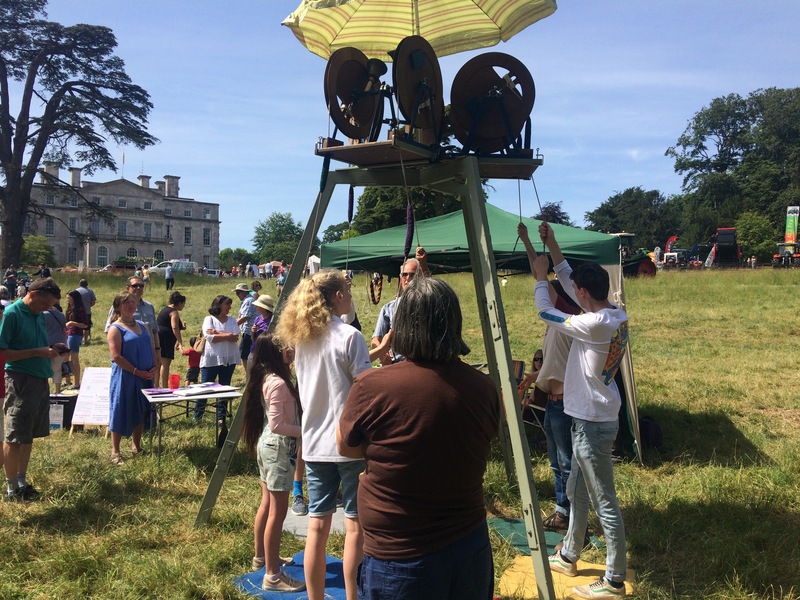 DIVAcontemporary STUDIO co-directors Victoria Pirie and David Rogers spent an entertaining morning discussing the Appeal of Bells project with members of the Dorset County Association of Church Bell Ringers and young bell ringers. This entry was posted in associate artist, audio, David Rogers, links, partnerships, soundscape, Victoria Pirie, working with young people. Bookmark the permalink.